One of the many survivors still suffering from the lack of medical attention from the government. Picture courtesy of Awat Rostamyani. All rights reserved. Over the past few decades, Sardasht – a Kurdish city located in the western Azerbaijan province of Iran - has endured too much pain and neglect. The city can best illustrate the dynamics and mechanics of ethnic discrimination and suppression by the Iranian regime against the Kurds. As a small city, however, Sardasht once had a long and glorious history, one with several episodes of success. For instance, it played a decisive role in the emergence and expansion of Kurdish nationalism during both the Pahlavi and Islamic regimes. Hence, what this city has gone through under the Iranian regime is by no means accidental. Sardasht was the first city that was brutally gassed by Saddam on Jun 28, 1987, during the Iran–Iraq war, a barbarous attack without any military and political justification. Sardasht is also called the “second Hiroshima” because it was the first city to witness a massacre of unarmed innocent civilians since the atomic bombardment of Hiroshima and Nagasaki during World War II. Its small population – which hardly amounted to 20,000 people in the 1980s – makes Sardasht’s case unique in a horrifying way. A total of four chemical bombs were dropped over the city during a single day. In just a few hours, hundreds of people, including women and children, were killed, while thousands of injured had to grapple with the long-lasting mental and physical effects of the attack, which persist to the present day. This barbaric carnage was not condemned by the International community at that time nor did the Islamic regime recognize it in the official calendar until many years later. When he died, he left his seven little daughters for my aunt to raise alone – a burden much heavier than she could carry. The depth and scope of the tragedy in Sardasht would be impossible to describe in a small essay. As a child, I found myself asking, why did it have to happen in this small city? Why not in a bigger one? Our generation witnessed the war in its cruelest, ugliest and most inhumane form. In this war, we – Iranian Kurds – were a nameless, defenseless people living in the unmarked territory; we were like an open laboratory in which the Iranian regime could run their dreadful experiments. I was telling myself that both the Iraqi and Iranian warplanes drop their last bombs on Sardasht to return to their bases with less weight and entirely unloaded. We had to pay the price for our ethnicity, religion, language, and identity; this was a toll we were required to pay every day. It reminds me of the Roman legal notion of Homo Sacer, a person who is banned from society and may be killed by anybody. This was almost true for us as we were excluded both from the protection of the law and the domain of the sovereign. During part of my elementary years, as a student, I lived under bridges, hiding in natural shelters, constantly running from the airstrikes. Agriculture and ranching had collapsed due to continuous bombardment. A lot of farms were turned into militarist garrisons or minefields, which were never cleared. Two decades after the end of the war, it is estimated that there are still some sixteen million landmines laying hidden throughout the four Kurdish provinces of Iran. More than 4,000 people, mostly women and children have lost their lives due to mine explosions. As soon as the war ended, the regime began to establish military, political, and ideological institutions in Sardasht; thousands of people were forced to join the newly formed local militia run by the government. The increasing militarization of the region served as an excuse for the regime to refuse to invest in infrastructure, as well as in social and economic development programs. After the war, the same “Soldiers of Islam” began to defame and vilify the people of Sardasht. They did so by forging untrue and baseless stories. Now, the people who were brutally scapegoated and deprived were being introduced as “beheader”, “traitor” and “killer” of the “Soldiers of Islam”. As a student who lived in non–Kurdish regions, I personally suffered from such humiliations over and over. Sardasht became a scapegoat. The regime used to carve its name on the gravestone of any of its unknown “martyr” in order to further agitate public opinion against Kurds. Once my university roommate admitted that he had not slept enough in the weeks preceding the day we first met. He explained that he was too scared of me and thought that I might behead him in the middle of the night. Many of my generation shared similar experiences when interacting with non-Kurds. Sardasht, however, was an exceptional target for the fictions and myths promoted by the regime. 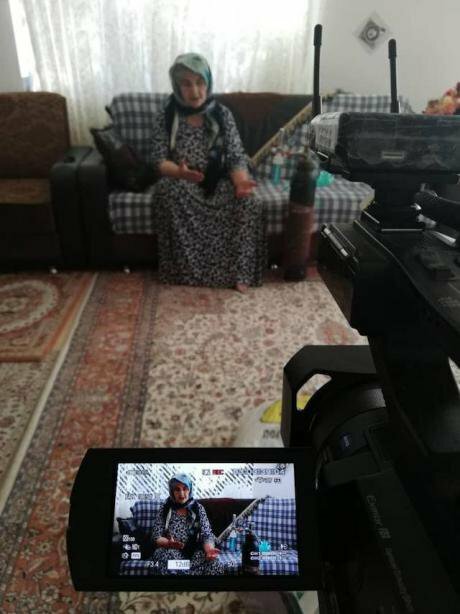 Not only had we to endure the pervasive harassment by non–Kurds, but we also had to keep silent in face of the implicit and explicit abuse promoted by the regime’s media. The regime, aided by local Basijs (a semi – military institution), began to fabricate false political and moral records for the youth and poor families. Indeed, these years marked a period of inquisition and interrogation in almost every Kurdish region, not just Sardasht. I finished high school in 1995, when I was preparing for the college admissions exam (called Conquer in Farsi). I witnessed first-hand what my friends and then myself went through. In such a small city that grappled with an unbearable pain and misery caused by eight years of war, still suffering from the 1980s chemical attacks, tens of students were denied university admission despite having some of the highest exam scores. To show a measure of the disaster, only 10 to 15 students were allowed to enroll to universities out of 70 students who had passed the exam. Sardasht is a perfect example of the dark days of unbridled hegemony of the regime’s intelligence services. Thenceforth, hundreds of Sardasht students were deprived from entering the university. Young students who were young children or not even born when the Islamic Revolution took place in 1979 now had to be interrogated by regime officials for allegedly collaborating with the Kurdish opposition or opposing the “Islamic Revolution.” They were forced to confess to what they have never done or to prove that they were “revolutionary” enough and sided with the government. Many of us were denied admission or employment for having a small radio or attending events such as a wedding. As a result of this harassment, many students dropped out of school and entered the labor force. Some fled from Iran or joined the Kurdish political parties. I knew some who, suffering from permeant psychological breakdown, ended up committing suicide. The Iranian regime took different turns in the last four decades. For the Kurds, new policies represented both changes and continuities. The discourse of securitization and militarization of the region (especially Sardasht) remained almost intact. The regime’s insistence on the de-indigenization of local administrative bodies, combined with placing non-Kurds in key political and economic positions, has resulted in the increasing underdevelopment of the region. Each year, tens of households are relegated to work in brick factories in non–Kurdish areas – mostly, in central Iran – which in turn has caused numerous problems. Besides, a large number of people (known as Kolber in Farsi) are currently engaging in the dangerous cross-border trade across the Iran and Iraq border because of absolute poverty and lack of other opportunities. These traders are often ambushed and brutally killed by Iran’s Islamic Revolutionary Guards Corps. Over the past years, around 200 Kolbers – Kurdish tradespeople – were reportedly shot and killed. Despite all that has happened, Sardasht has survived the regime’s brutal policies; its people are still on their feet, standing and resisting the regime by every means. Sardasht is illustrative of the 1980s and 1990s Iran, and perhaps the Middle East at large: a unique case that illustrates the emergence, expansion, and destructiveness of totalitarian sovereignty, with its ruthless and tyrannical apparatus, in this case the Iranian regime.